I think Tim McGraw is one of country music’s strongest singers. He doesn’t have the range or depth of a Vince Gill or a Toby Keith, but he can do what a great singer is supposed to do: deliver a song with sincerity and believability. That may seem like a low bar to clear, but it never ceases to amaze me how many country artists trip over it these days. McGraw has a stellar track record in this area, but you’d never know it listening to “Felt Good On My Lips.” In fact, it seems that the record itself has so little confidence in McGraw’s ability to deliver a song that it puts every modern recording barrier it can think of between his vocal and the listener. I don’t have the technical studio recording vocabulary to accurately describe what’s being done to his voice here, so I’ll just say it sounds like he’s singing into a transistor radio that’s miles away from where the musicians are playing. His voice is so processed that it’s hard to tell it’s even Tim McGraw until he lets loose a bit in the chorus. Is the song any good? I can’t really tell. I’ve never developed the ability to appreciate a song for its own sake. The singer has to deliver the goods for me to enjoy it. The production sank this record before the song had any chance to win me over. The whole thing has the vibe of a long lost demo being spruced up for a posthumous cash-in. …yep, there’s no salt in it. Tim McGraw, to me, seems to have changed! I can’t put my finger on it, but I’ve noticed he acts different than he use to. He looks sad all the time. Anyhow, I don’t care for this song at all. I love the song. It’s a fun song but it is SO much better live. This review very accurately describes what’s wrong with this single. I think you put your finger on it better than I was able to. The fact that his voice has been messed with so much really takes a lot away from it. And even though Tim might not be a vocal acrobat, it was his sincerity that made him such a good singer. I meant to elaborate on those issues a little further in my review, but as it turned out, my main beef was with the song itself. I sure hope his next single is better. The whole thing has the vibe of a long lost demo being spruced up for a posthumous cash-in. I smell a conspiracy theory! 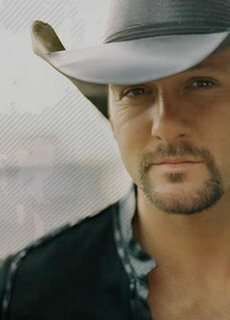 Although I’m not a big fan of McGraw’s music, there have been some songs of his over the years that I’ve really loved. This is not one of them. I thought the “Live Like You Were Dying” album had quite a few really good songs – favorite non-single is “Blank Sheet of Paper” – and I like “Everywhere”, “She Can’t Be Really Gone”, “My Next Thirty Years”, etc. You say that “I’ve never developed the ability to appreciate a song for its own sake.” Can anyone? I’m assuming you mean the song apart from the artist. If so, do you mean by “song for its own sake” just the lyrics or the words AND music? If it’s the former, how could you appreciate it. You could have the greatest lyrics and the song could still be awful if the music isn’t appropriate. If you mean both words and music, are you appreciating a song for its own sake if the music differs. Take “Crazy”, for example. Per Wiki, Patsy “Cline absolutely hated it at first because Nelson’s demo “spoke” the lyrics to a faster tempo than what Cline later recorded as a ballad”. I heard the Nelson demo version years ago and certainly prefer Cline’s take on the song. http://www.Secondhandsongs.com currently lists 89 versions of “Crazy”. Even if you could appreciate “Crazy” for its own sake, your listening preference will probably come down to how the artist delivers the song. I tend to secretly love vapid fluff like this, so I’ll wait for a higher-quality version to make my judgments. I do like that “oh-oh-oh” chant (or whatever it is) in the pre-chorus. Although the fact that this is a “country” single and not the latest from some Boys Like Girls-type band makes me weep bitter tears. I’m not one to care so long as it’s good, but this sounds less “country” than anything I’ve heard this past year, including Swift’s current single. It’s just such an odd song. Why does it sound so disconnected? I like the “chant” that Dan likes, but nothing else. I can’t even remember the last Tim McGraw single I liked, though, aside from “If You’re Reading This.” It’s crazy how much my opinion of him as an artist has changed over the past decade. Ok, remembered that The 9513 had helpfully linked to a good-quality stream. The lyrics are pretty lame, and I agree that they did a number on the vocal; they’ve totally shaved all character off of it, although I might have picked a grittier male singer for this song to begin with. That said, I like parts of the production a lot – some of the guitars shimmer in a way that reminds me of Up! – and hate other parts. And I find the whole melody very addictive, though as Tara said, disconnected. What an odd single. No idea what grade I’d give it. I don’t mind the vocal as much as I do the fact that this song is atrociously dull. I do own a few of Tim’s Greatest Hits, but the songs I really enjoy from him seem to be few and far between. I think he’s a mediocre vocalist, and he could benefit from going back to quality pop-country that he recorded in the 90’s. I do think Tim is capable of more than this, but this cut isn’t looking too promising. There have been very few McGraw singles that I’ve really liked in the past decade. I liked “When the Stars Go Blue” and I kind of liked “Last Dollar” (even though it was cheesy), but I thought “Southern Voice” was stupid, and I hated “Still” with a passion (He’ll have to release LOTS of really awesome songs before I can forgive him for that one). I’ve been indifferent to just about everything else. I LOVE this song and Tim McGraw delivers it !! AS usual a lot of negative people don’t know what their talking about, we’ll see when it’s a #1 hit. I can think of a lot more dumb songs that have been made # 1. TIM MCGRAW IS AWESOME!!!! Hey, I like the song! I think Tim does a great job singing it… It seems to me Mr. McGraw can’t win for losing with radio these days. When he does something serious they call it dull or preachy, when he does something upbeat they say it has no depth. Tim McGraw has been making good country music for years and I dont think he’s changed at all! He’s always been a risk taker as far as subject matter, arrangment, accompaniment and production. I don’t know if anyone has noticed, but every song Keith Urban makes sounds the like the one before it; the same with Kenny Chesney. They just speed it up or slow it down! Tim is one of the guys that give us something fresh every time. I hope his single does well. Even if this song does become a #1, I don’t think that says anything about its quality, especially since there have been “a lot more dumb songs” that have gone #1. Besides, not every #1 song is remembered long after its chart run ends. That said, I think I’ll go out on a limb and say that I don’t have very high chart expectations for this particular single. Maybe I’m in the minority, but I enjoy it. I have no idea who wrote the song, but it sounds like one of those mid-to-late 90’s Phil Vassar-penned songs that made it big. I prefer uptempo Tim (at least of his recent catalog) because he doesn’t drone on and on about the same subjects (COUGH, Jason Aldean/Rodney Atkins/Randy Houser, COUGH); he seems to mix it up and deliver something that is a little bit different than what you would expect. Is it a little overproduced? Yup. But that doesn’t make it a bad song. I think this is better than 95% of what I’ve heard on the radio, and his best single offering since “Kristofferson” (although I did like “Still”). He’s made some puzzling decisions with single releases (“It’s a Business…”) recently, but I don’t think this is one of them. And you can add Craig Morgan to the list of artists in my “COUGH” section. Although with recent Craig, it’s more of a “GAG” than a cough. I might actually consider “It’s a Business Doing Pleasure with You” to be one of Tim’s stronger single releases of the past few years. He sounded fully invested in the humorous lyrics, and I think he sold it well. I have to admit this song is growing on me. Just a tad. Well – what a suprise. I’ve encountered Tim McGraw before but he has never left an impression on me. However, this little gem is anything but country “guts on a barbed wire fence”. Happy, commercial, singable and well put together. You have my vote. I like it. I agree with most who say it’s not exactly country. But then again sometimes you need a breath of fresh air, so to speak. I find it very up-beat. Is it wrong that I really like this song? I don’t know if I could say the same thing if it was sung by another artist (probably not), but this just fits Tim McGraw for me. I just listened to this song again to make sense of why it’s been at No 1 for so long…no idea. IT does sound crap to me. Wish wish Tim would go back to his early 2000’s sound.